Toronto’s controversial Billy Bishop Toronto City Airport will have a second operator from February onwards with Air Canada making a return after five years. Locally built Bombardier Q400 flights will be operated by Sky Regional Airlines. Situated minutes from downtown Toronto the airport is unique in that a very short ferry ride is required in order to make the terminal. Aeronova, the Valencia-based specialist business aircraft operator, is to base a 14-seat Fairchild Metro III at Birmingham Airport. Operating since 1996 the company has now grown its Metro fleet to six aircraft of the type. The Metro fits in neatly between the larger Jetstream 31/32 and the much smaller Cessna 421 and Piper Navajo series. 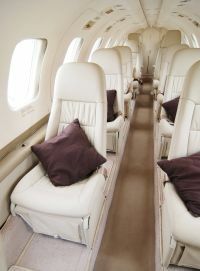 It is fully pressurised and has a cruising speed of around 300 knots. Aeronova is probably best known for its comprehensive ad hoc cargo charter operation but in recent times has been increasing its passenger operation which is now 20% of its work. Birmingham, with its well located general aviation set-up and excellent motorway connections, was chosen as the ideal UK operational base. Four Seasons, the Canadian hotel and resort group, is currently focusing much on London, with a major opening and the announcement of what will probably be the largest hotel in the City of London. 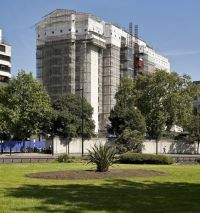 The much anticipated re-opening of Four Seasons Park Lane has now been set for 31 January. The 192-suite 5-star property includes 53 rooms providing a large wet room rather than a bathroom with tub. There are 20 Conservatory Suites with four over looking Hyde Park, each with a garden terrace. At Liverpool Street, in the heart of the city, the Four Seasons will form part of the 43-storey Heron Plaza development, now under way next door to the virtually complete Heron Tower. 190 hotel suites and 120 Four Seasons-branded residences, as well as restaurants, conference and banqueting facilities, a gym, spa and swimming pool will be provided. 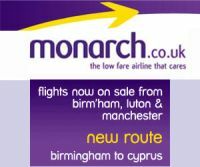 Monarch Airlines is to add Paphos in western Cyprus to services to the EU’s most easterly member. The capital Larnaca has been a destination since 2007 carrying over 300,000 passengers annually. The new scheduled flights to Paphos will operate from Birmingham, Gatwick and Manchester on Wednesdays and Sundays starting from 4 May 2011. 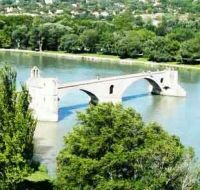 Eurostar, the high-speed rail service between the UK and mainland Europe, has confirmed that once again this coming summer it will offer a direct weekly service to Avignon in the heart of Provence. It will operate every Saturday from 9 July to 10 September 2011 from London St Pancras to Avignon Centre Station. Both Standard Class and Premier will be available. Connecting fares are also obtainable from over 200 towns and cities across the UK. Skyteam has confirmed that Saudi Arabian Airlines, universally known as Saudia, and a dry airline, will join the alliance in 2012. After Royal Jordanian, who are part of oneworld, it will be only the second carrier in the region to become a partner of one of the three major groupings. Currently resident at Heathrow T3 the airline is set to move to T4, joining its Skyteam colleagues, later this year. Virgin Atlantic has written to BAA Ltd advising that they will be withholding airport fees until the end of their inquiry into the December snow chaos. Virgin claims that BAA were slow to react to the severe weather conditions. 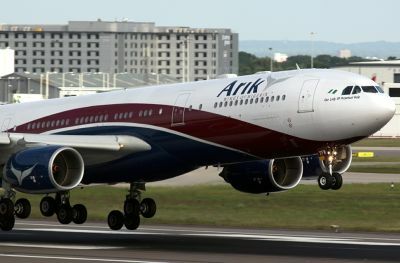 The airline says it has also officially advised the Department of Transport of its action and shares the Secretary of State's frustration at the absence of any penalties it can enforce on airport operators under the current regulation. Virgin Chief Executive Steve Ridgway’s frustrations can been seen in this quote. “Despite the airport operating conditions being way beyond our control, Virgin Atlantic is taking responsibility by paying out millions to customers that suffered disruption to their Christmas travel plans. We are keen that BAA also feels a strong sense of accountability to the consumer and that minds are focused on delivering a fully independent and robust inquiry by its deadline in March." Airbus has confirmed that Air New Zealand’s unique all black A320 aircraft is nearly ready for delivery from the completion centre at Hamburg. The aircraft is the first of Air New Zealand’s new domestic Airbus A320 jet fleet and will be the only aircraft to be painted with the exclusive livery. ANZ has 14 of the 171-seat aircraft on order, which will be progressively introduced into the airline’s fleet from early February. The interior for the new A320 fleet will mirror the recently revealed colour-scheme and materials being fitted into the airline’s new fleet of Boeing 777-300 aircraft, and includes LED mood lighting throughout the cabin. 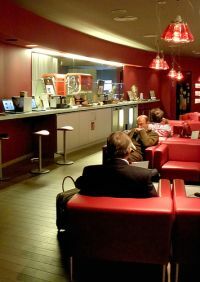 European high speed rail operator Thalys has introduced its new onboard private lounge Le Salon on the Brussels – Paris route. Journey time is just 1hr 22mins. Aimed at business travellers, each salon consists of four chairs surrounding a conference table. 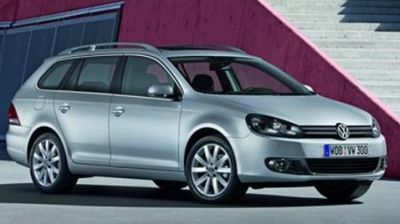 Included is wi-fi access and plug sockets. Passengers booking Le Salon are offered the same services as in Thalys' Business Class, Comfort 1, which include at-seat dining, wi-fi access, newspapers and magazines. 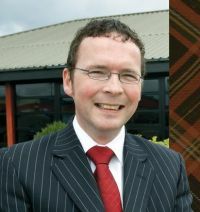 Inverness-based Highlands and Islands Airports Ltd, 100% owned by the Scottish government, is looking forward to a better 2011 than 2010. It was hit hard by the Iceland ash problem and also very heavy snow at both the beginning and end of last year. However it does say that lessons learnt with the first weather problems enabled a far better handling of the December difficulties than was anticipated. In 2010 passenger numbers over the ten airports it operates was down by 12% to just over one million. The failure of Highland Airways in March did not help matters. 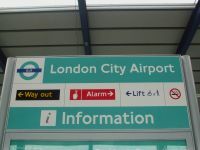 Dundee Airport, which was taken over from the local city council in September 2007 is causing concern, with question marks over the service to London City Airport, considered a lifeline route. The former Suckling/Scot Airways service is now operated by CityJet using a VLM Fokker 50 but heavy charges at the London end may mean a reduction of London flights and rescheduling for the summer season. 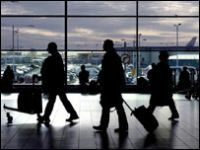 Britain’s Office of National Statistics has published figures that show the number of overseas trips taken by people from the UK fell sharply in 2010. Whilst the numbers are only to the end of November, December will see a further substantial fall due to problems associated with the unusual adverse weather conditions. Business travel was down 6% to 6.7m in the same period and foreign holiday trips taken by UK residents totalled 36.3m, a fall of 7%. Airbus A380 aircraft have been put back into service on the Qantas Los Angeles – Sydney route, one that regularly requires the use of maximum engine thrust. 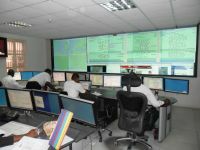 In line with the airline’s safety-first approach, the suspension of the flights was implemented to enable the airline to monitor the performance of the Rolls-Royce Trent 900 engine. 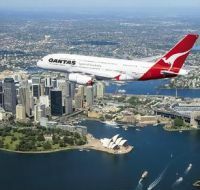 After extensive engineering analysis and close consultation with Rolls-Royce, Airbus and the European and Australian regulators, Qantas, Rolls-Royce and the Civil Aviation Safety Authority are now satisfied that it is appropriate for Qantas to resume A380 flying on the Los Angeles – Australia services. 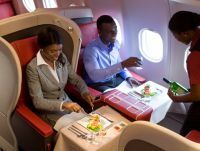 QF9/10 (Melbourne – Singapore – London): three services per week. QF11/12 (Sydney – Los Angeles): four services per week. QF31/32 (Sydney – Singapore – London): daily. Ten years after it opened, Incheon, Seoul’s international aviation gateway, has finally gained a non-stop express rail link to the city centre. Totalling 58kms the line is an extension of an existing link between Incheon and the former Gimpo International Airport now used mainly for domestic and regional flights. The non-stop service departs every 30 minutes, takes 43 minutes, with a cost of approx US$11. There is a stopping train every six minutes calling at ten stations along the line, with the charge just US$3 for the ten-minute longer journey. Mercure, part of the Paris-based Accor operation, has signed a franchise agreement with Focus Hotels, adding ten hotels to its UK network in the first quarter of 2011. This forms part of French Accor’s aggressive expansion strategy to increase its British base to 300 hotels by 2015. By the summer of this year Mercure will have 43 UK properties. 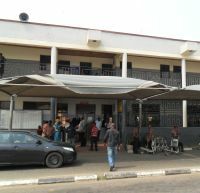 Other Accor brands include Ibis, Novotel and Sofitel. Heathrow proved to be the only star in what was a miserable year for BAA Ltd, the Spanish-owned airport operator. Even Heathrow had its problems with the political decision to abandon the third runway project, after it had expensively passed at the legal and public enquiry examinations, and the natural difficulties caused by both snow and volcanic dust. Figures published last week show an overall decline in passenger numbers at the six BAA airports to 2.8% year-on-year, the throughput figure at 103.9m. 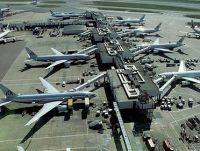 Heathrow saw record figures in the months from July to November easily keeping its position as the world’s top airport in terms of international passenger throughput. FlairJet, based at Oxford Airport, has become the first European operator to introduce the Embraer Phenom 300. Two aircraft, G-MGNE and G-GEIR arrived over the holiday period joining three of the smaller Phenom 100s which arrived during 2010. 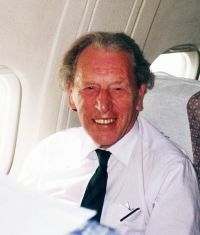 Reg Ward, one of the men chiefly responsible for the creation of London City Airport, has died aged 82. Mr Ward was Chief Executive of the London Docklands Development Corporation (LDDC) between 1981 and 1987. It was the body responsible for the regeneration of the Isle of Dogs and the building of Canary Wharf. Tributes paid to Mr Ward included one from George Iacobescu, Chief Executive of Canary Wharf Group. "Reg's legacy lies in the transformation of east London – without him, it just would not have happened." Eastern Airways, the new owner of Air South West, is to close both the Newquay and Plymouth Dash 8 services to Gatwick on 1 February, citing an 18% rise in the cost of operating at the London airport. The loss of the route is considered as a body blow by the city of Plymouth with poor road connections to the central parts of the UK, and an inadequate railway service. The city boomed from inward investment with the introduction of a four times daily air service to Heathrow by Brymon Airways in 1981, lost in 1993, the slots too valuable for 50-seat aircraft. The big beneficiary of the closure is likely to be Flybe and Newquay Airport with passengers in West Devon and East Cornwall forced to use the former RAF St Mawgan and the Exeter-based carrier picking up Air South West customers. Flybe currently flies three times daily non-stop to Gatwick with a Q400. 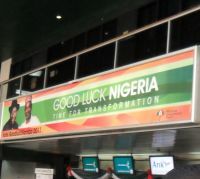 A lack of competition will affect fares. American Airlines has said in a Texas court filing that Sabre, by reneging on a contract to distribute its tickets, has increased its costs causing a loss of billions of dollars in revenues and “irreparably” damage to its reputation. In the filing the airline laid out a bleak scenario if Sabre is allowed to proceed with plans, announced on 1 January, to terminate its distribution contract with American in August, and raise its fees and downplay its products in the meantime. This follows Expedia’s decision to drop American from its website. 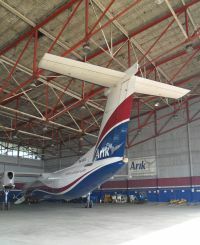 See AERBT 10 January 2010. London is undergoing a massive transport restructuring, much of which is expected to be completed by the time of the 2012 Olympics. Crossrail will not be completed until later into the decade. Presently most weekends work is taking place somewhere on the system which includes the Tube, London Overground, Tramlink and DLR. Transport for London (TfL) is urging everyone to “check before you travel” allowing extra journey time where necessary. Latimer Road is now closed for three months. At weekends the Bakerloo Line from town stops at Queens Park, the Circle Line is suspended completely, as is the Hammersmith & City Line, the Jubilee Line between Stanmore and West Hampstead. Cannon Street is shut on Saturdays. The District Line will not run on Saturdays between Embankment and Dagenham East and on Sundays between Earl’s Court and Dagenham. The Metropolitan Line is suspended between Harrow-on-the-Hill and Aldgate all weekend and passengers are advised to use the Chiltern Railways service to/from Marylebone. The Overground has closures too and the DLR is suspended to London City Airport.